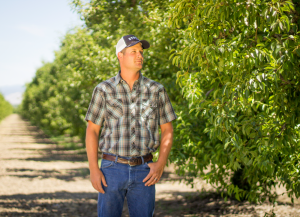 Greg Panella took over running his aunt and uncle’s 63 acre pear orchard just three years ago, but farming was in his blood. His family came to Lake County, California in the early 1900’s looking for land and a better life. His great grandfather, Sydney Stokes, was a pear farmer as well as the Ag Commissioner for Lake County and a founding member of the Lake County Fruit Exchange formed in the 1930’s. Greg’s grandfather started the Stokes Ladders Company which has engineered ladders for fruit tree farming since the early 1960’s. Now Greg and his wife, Allison, own and operate Stokes Ladders in addition to running the pear farm. Greg grew up on a walnut orchard. His parents farmed walnuts as a side job with the help of their two sons. Greg remembers moving irrigation pipe starting at the age of four which led to mowing and tractor driving as he grew older. 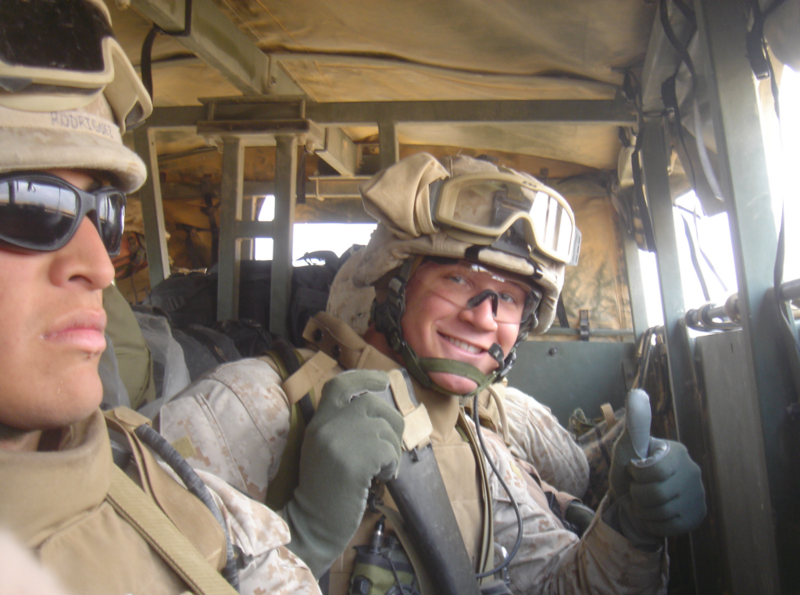 After high school, Greg joined the United States Marine Corps and served four years from 2004 to 2008. As a Marine, Greg deployed three times into two separate combat zones and was honorably discharged as a Sergeant. In Greg’s three years managing the pear orchard his greatest challenge has been Mother Nature. 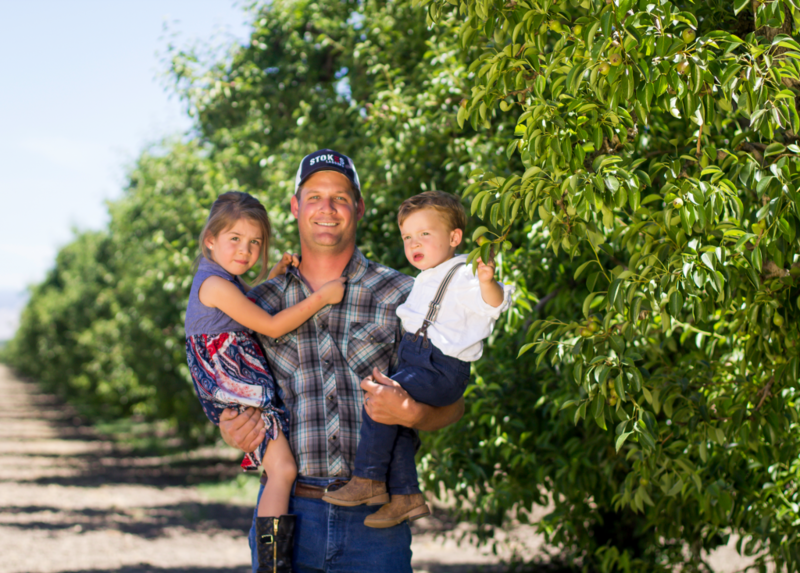 During Greg’s first year, California’s drought weighed heavily on his mind and he worried about over-pumping their well. But by the next winter, constant rain caused flooding making it difficult for Greg and his crew to prune. Greg is continuously learning new ways to deal with diseases like fire blight and scab that affect pears. In addition to problems caused by nature, he’s also concerned about labor shortages. Despite all these obstacles, Greg loves his job and the opportunity to work outdoors. He says he is “along for the ride!” and is especially passionate about building a robust family business for his children.